I realize I may be a little ahead of myself, but I am so excited that Fall is upon us. Not only does it mean that college football is almost here (single digits!) but it also means cooler weather, delicious smells, beautiful colors, cozy clothing and of course, comfort foods. One of our favorite comfort foods is pizza. Sometimes we try to be good and make our own using whole wheat crusts and lighter ingredients. Sometimes the ease of picking up the phone and ordering enhances the comfort. But sometimes, we just want that comforting flavor of pizza, without the uncomfortable thought of putting on jeans the next day. 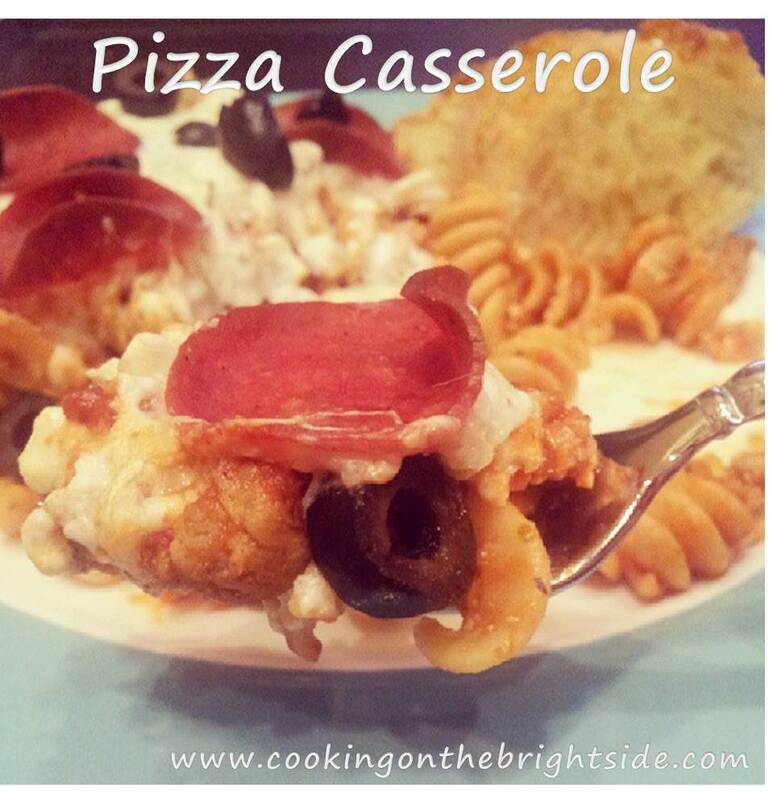 I know I’ve shared my ultimate comfort food recipe with you before (Pizza Soup – the most requested meal in our household of 2), but today I have another combo deal for you – Pizza Casserole! Bring medium pot of water to a boil and cook pasta according to directions. In a medium skillet, cook sausage (casing removed) and break into small pieces. 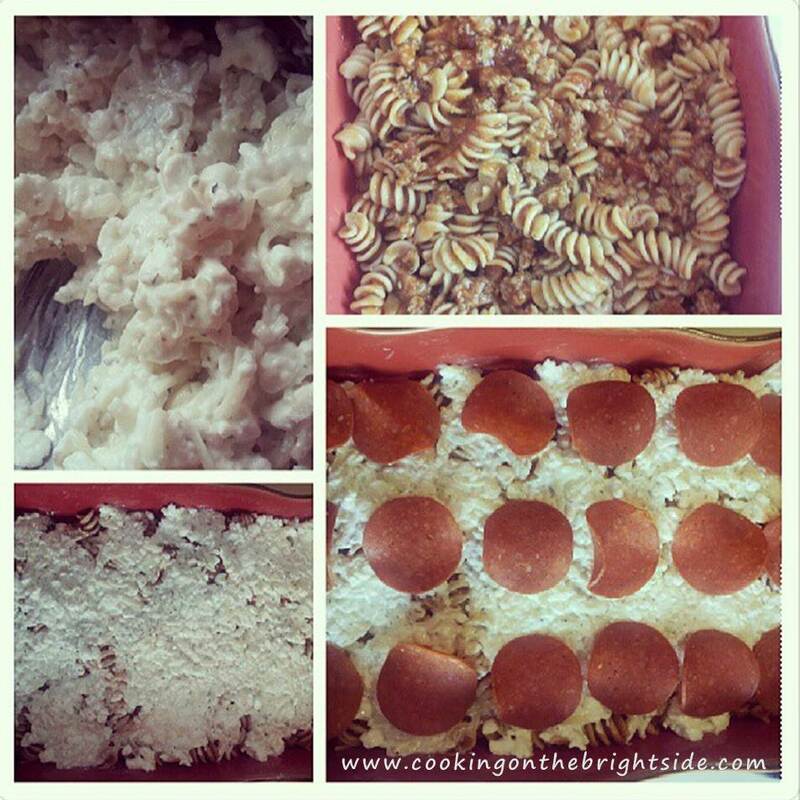 Mix pizza sauce, salt and pepper with the cooked noodles and spread into your baking dish. 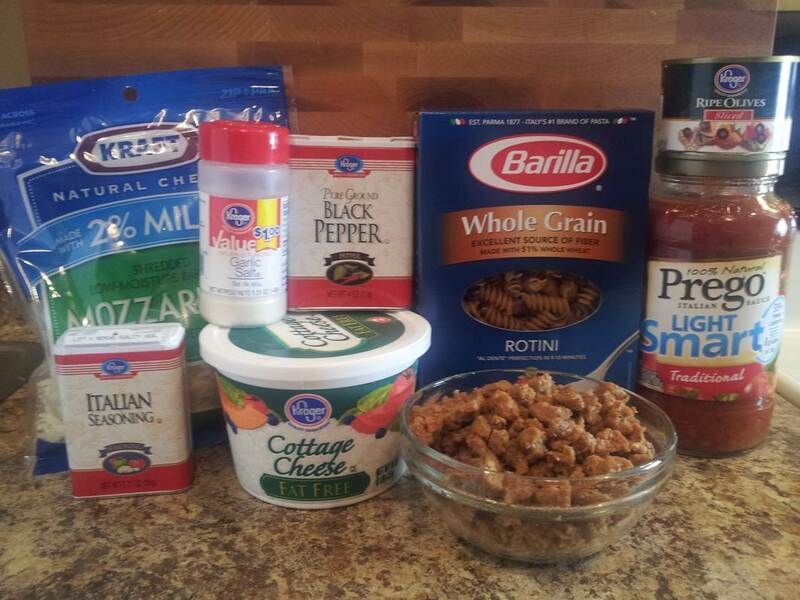 In a separate bowl, mix together cheeses with Italian seasoning. Spread cheese mixture over the top of the noodles. Top with favorite pizza toppings – we just went with pepperoni this time (and, of course, added some black olives after it was done cooking) – but make it your own! Bake for 20-25 minutes until lightly browned and bubbly. 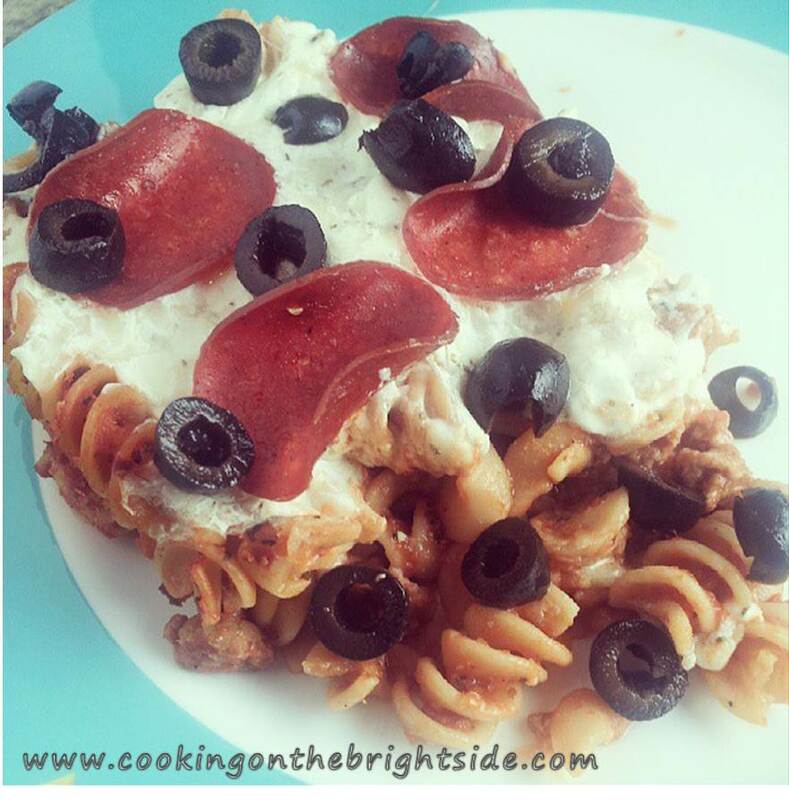 This entry was posted in Casserole, Main Courses, Pizza and tagged casserole with pepperoni, casserole with ricotta, pizza casserole, turkey sausage casserole, weight watchers casserole, weight watchers pizza casserole by cookingonthebrightside. Bookmark the permalink. Sounds like this will be a keeper !!!! !